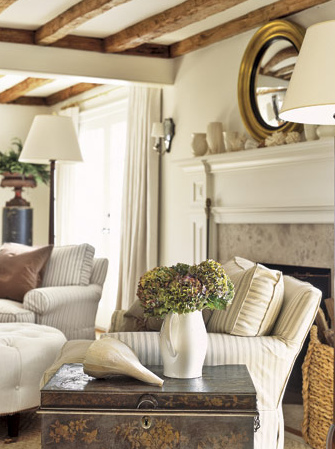 I think incorporating the simple beauty of natural elements is one of the easiest and most attractive ways to include any season into your decor. There are so many lovely things in nature! 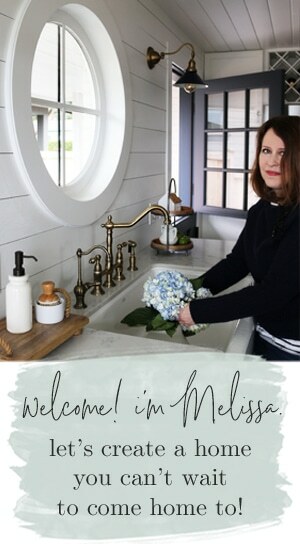 And because I like being subtle in my decor, utilizing natural elements makes sense to me. 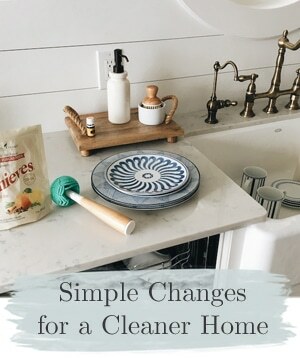 By using natural fiber rugs, window treatments, natural fabrics, or even twigs from the yard, I can achieve a rich and warm room without too much muss and fuss. 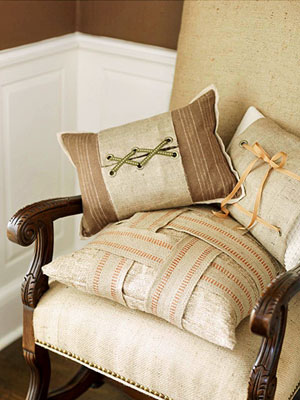 Natural burlap wrapped around pillows or frames can give some natural texture and seasonal pizazz! 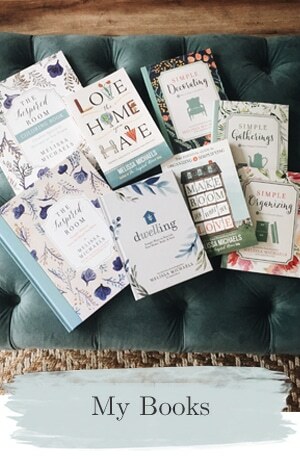 Don’t over think your decorating. Keep it simple so you can focus on the beauty! 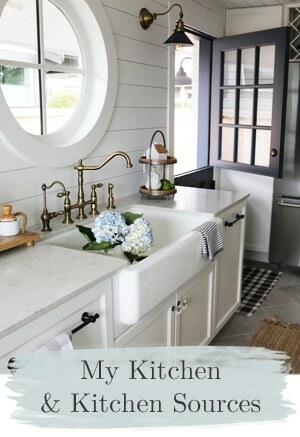 Oh how I love that kitchen! 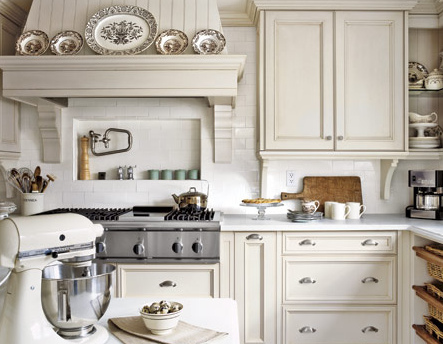 Kitchens can tend to be full of cold and hard surfaces, but with the addition of bamboo cutting boards and rattan baskets you can really warm things up. 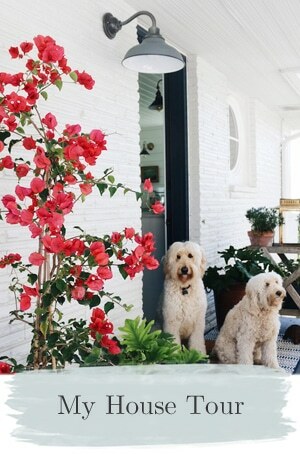 Beautiful colored flowers in pitchers of creamy white and browns, be still my heart! 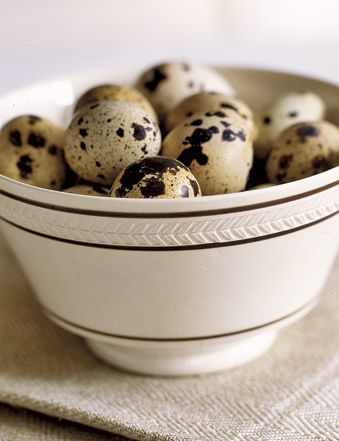 Natural things are so beautiful all by themselves in a bowl, you can’t go wrong! Branches for curtains complete with twigs and birds nests! 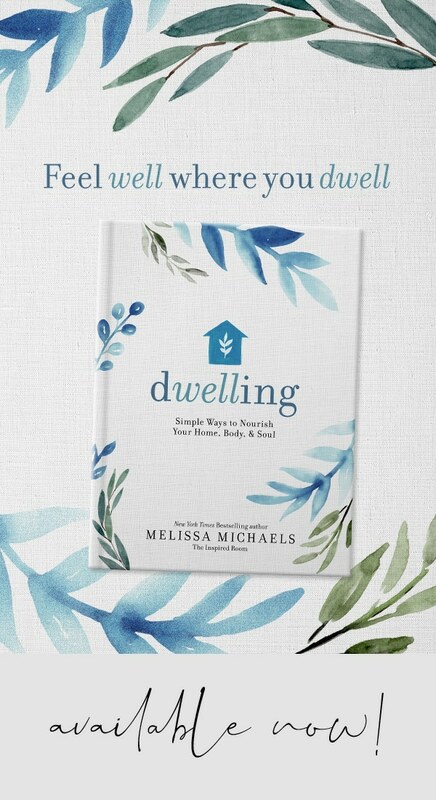 Inexpensive & naturally beautiful! 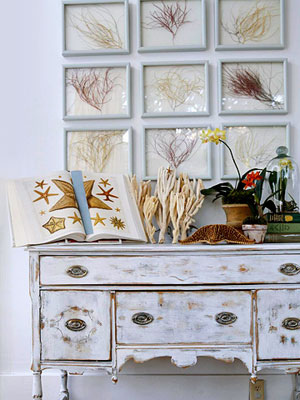 Framing natural elements, such as these sea whips or flowers, is a great wall to fill up wall space! 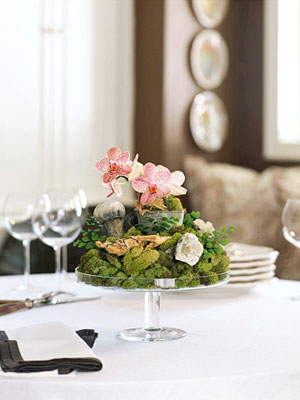 Grouping natural mosses, rocks and plant material into cake stands or other containers makes a naturally beautiful centerpiece! 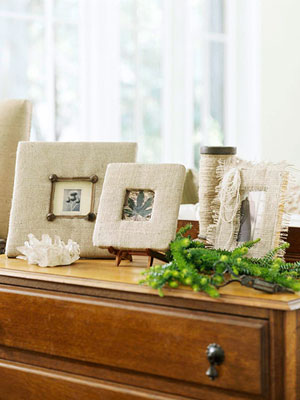 I love this idea for keeping special memories! 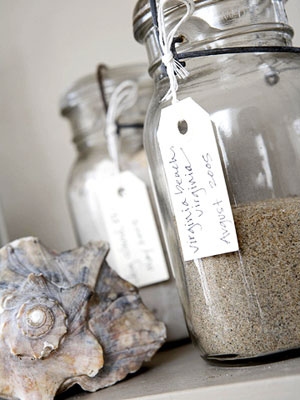 Gather sand and shells picked up on vacation and put them in individual glass containers marked with labels identifying the date and location of collection! 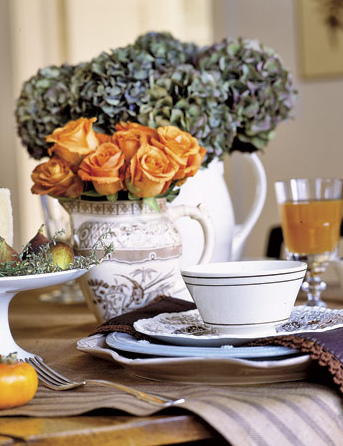 I love the simple beauty and meaning of decor like this and it is the perfect transition from summer to fall. 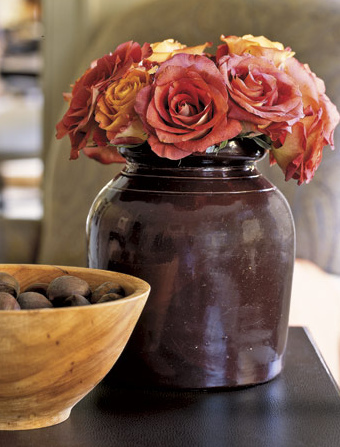 Are you as excited about Fall decorating as I am? Happy FALL! 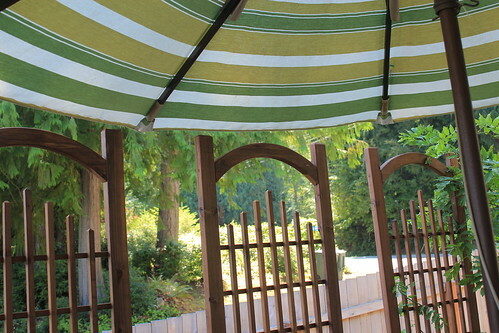 So in the middle of June, I started several “outdoor room” makeovers. I might have been a little too ambitious, but that is how I roll. 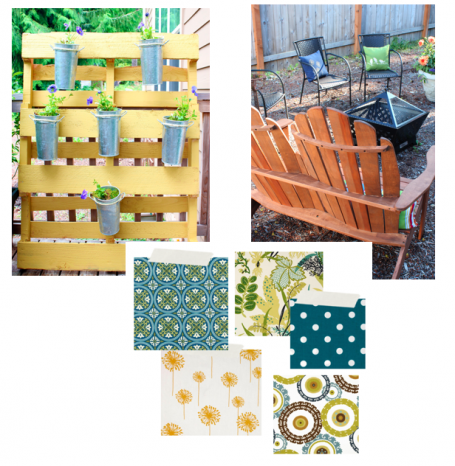 I went to Lowe’s and had so much fun, I got all sorts of great things to add privacy, function and beauty to my patio and deck areas. And then summer weather decided not to start until August. 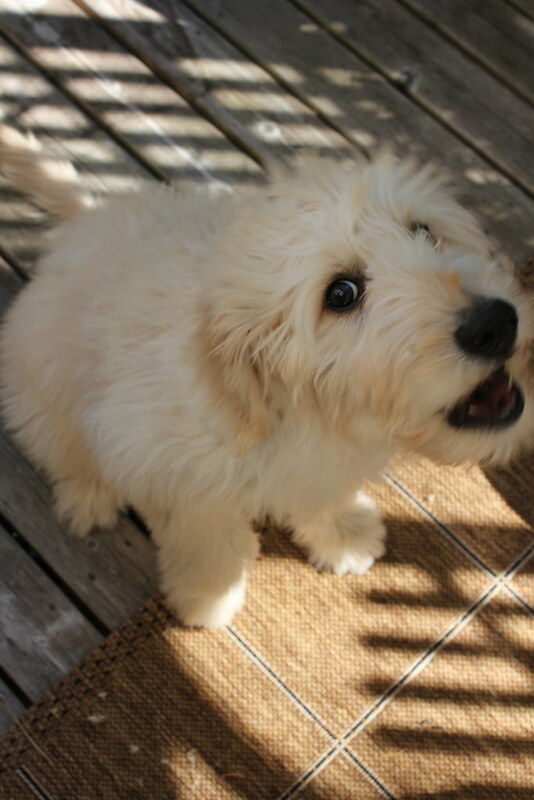 And then we got our puppy Jack. And my daughter had her emergency surgery. And my husband and I went away on a romantic getaway. And, well, you get the idea. Life happened. But, while the projects went a tad bit slower than I had hoped, I still got ALMOST all the way to the finish line with my projects! I’m not much of a gardener and nothing is perfect yet, but it was fun working outside! I worked on a family fire pit area, a potting table, a front porch, a fairy garden, and a pallet garden and now, my back deck! So, at least I have a great start on my yard for next year!! Alas, the delay in getting started means my by the time I got around to showing you the back deck, the patio furniture is is wearing WHITE after Labor Day. 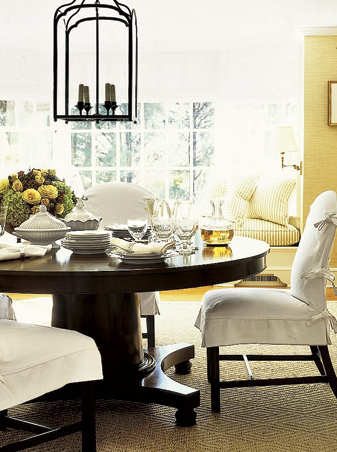 Is that one of the unpardonable decorating sins? Not sure. But who cares anyway when we are still having summer weather! YAHOO! 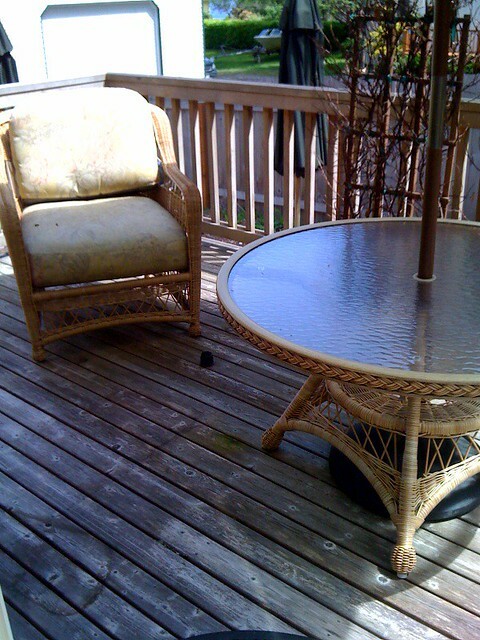 I’ll be enjoying my recovered cushions and prettier deck for another couple of months before it is time to put the cushions away for the season. 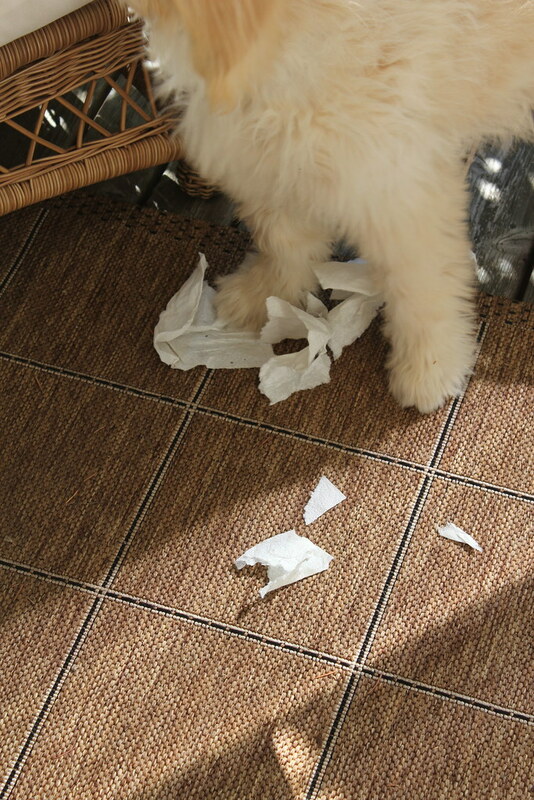 I started out with a frightful mess. Dingy moldy old patio cushions, dead plants, and no privacy at all. It was pretty depressing. I had dead sticks on wimpy trellises. 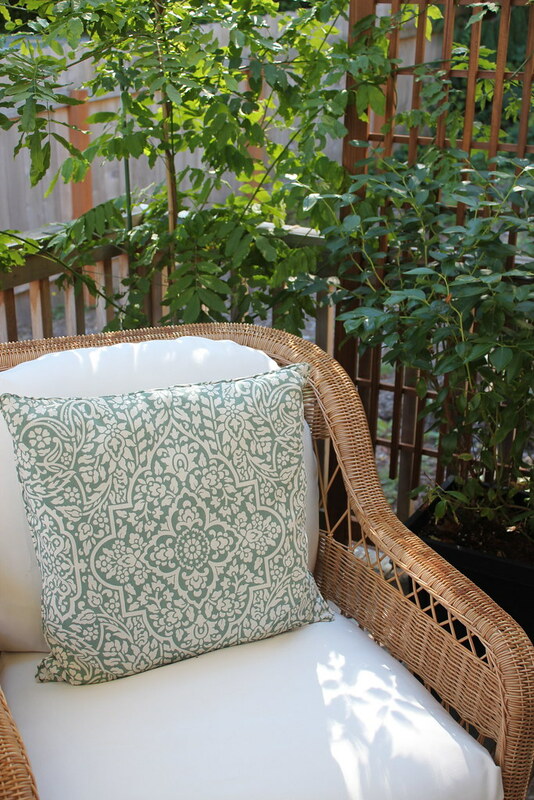 And I ended up with gorgeous lush greenery, beautiful trellises and white covers for my furniture. And my lovely yellow pallet garden which is just to the side of the chair, somehow I forgot to get it in the picture. 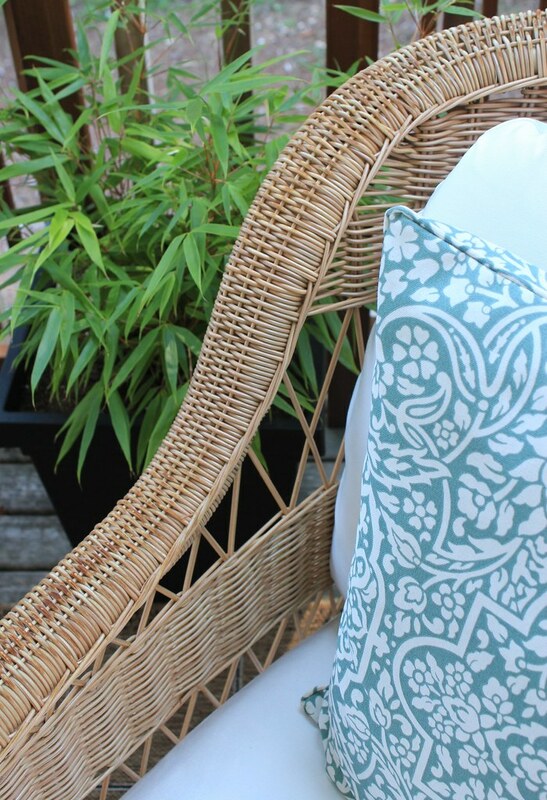 Yes, I chose WHITE Sunbrella fabric (you can find the fabric source here) for outdoor cushions, not only because it goes with my green and white striped umbrella but because the fabric is easy care, it won’t fade in the sun and can be washed and bleached as needed! The cushions will be put away all winter and be lovely all summer. 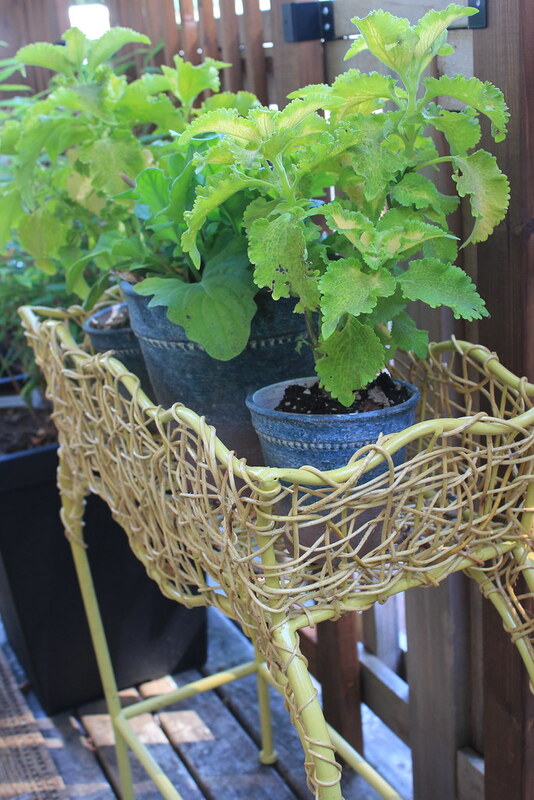 I brought my HomeGoods curly woven planter (purchased last year and used indoors in the winter) out for plants. The cute clay pots were from Lowe’s. I loved the colors!! 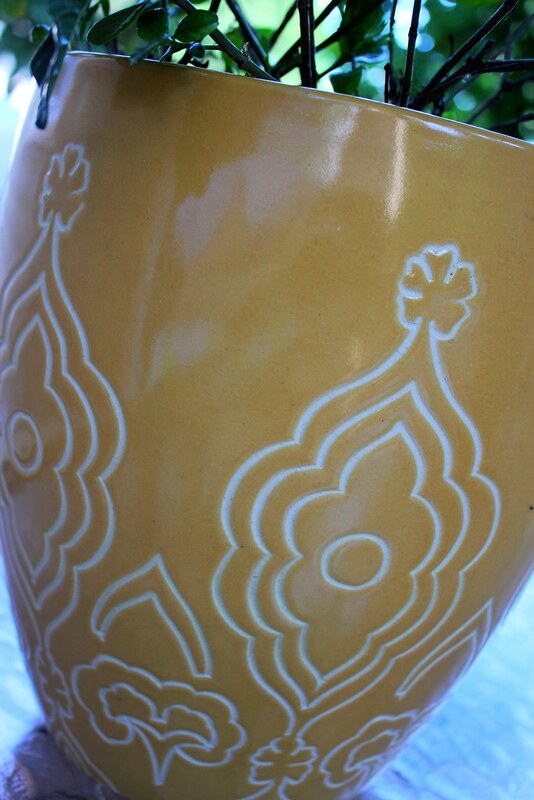 And my yellow HomeGoods planter, YUMMY! 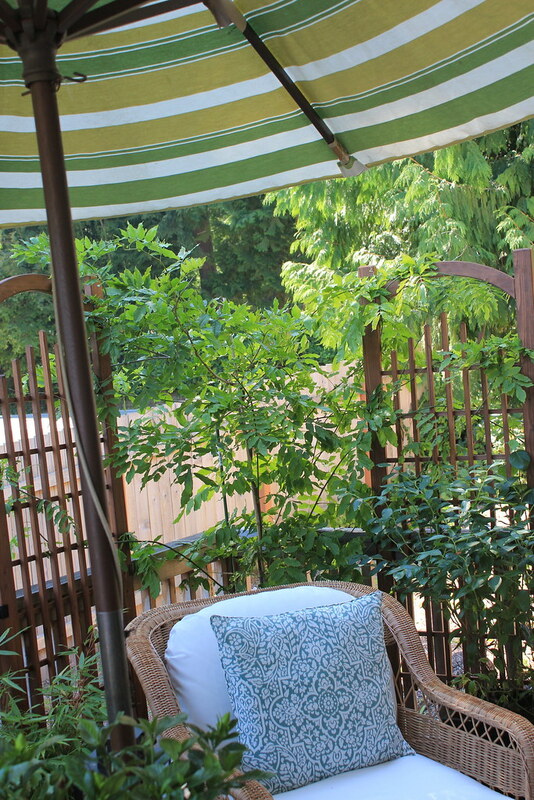 I had my hubby attach my new trellises (from Lowe’s) around the deck for the vines to grow on and give us the privacy we had hoped for. They are such great trellises, they look so heavy duty and substantial, not like most ready made trellises I’ve seen. 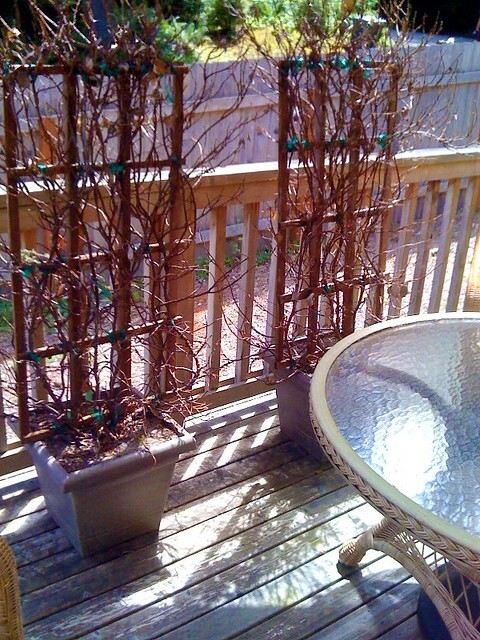 The wisteria vines are so hardy and fast growing they’ll cover those trellises next year! Eventually I’ll probably have to plant them somewhere else so they don’t take my deck down with their vigor, but for now, they are awesome. I also got a blueberry bush which has provided us with delectable blueberries! The plants came from Lowe’s. 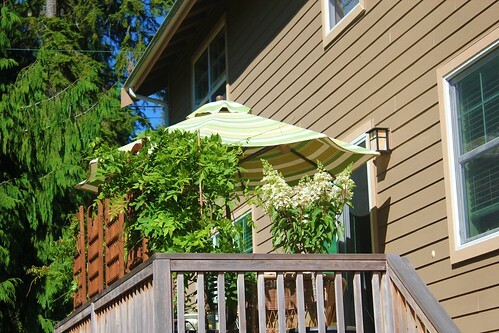 You can see how NOT fancy or remarkable the deck is, it is a very ordinary suburban Washington state new house deck. 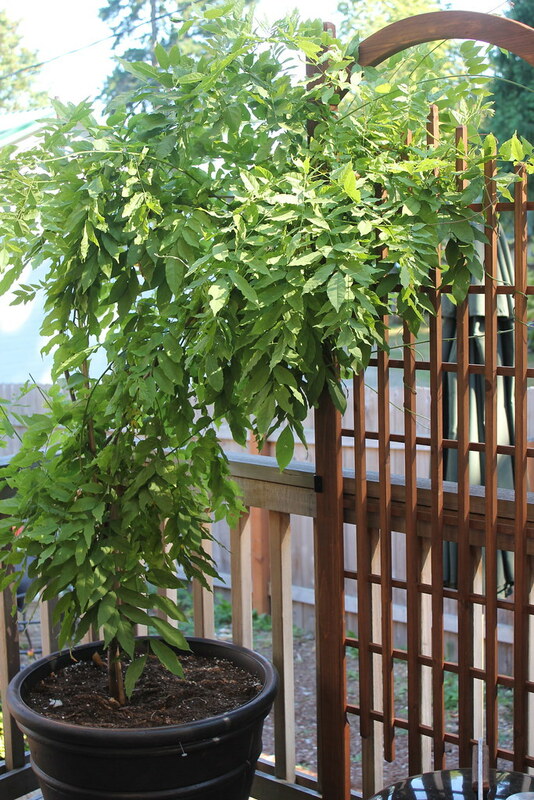 But a few trellises and plants (and of course, my pallet garden) help to give it a little more personality, greenery and privacy. 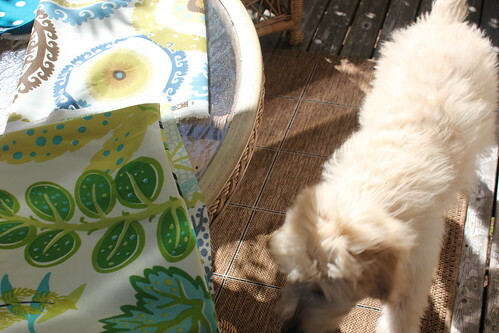 I also covered up the worn deck (since I wasn’t ready to refinish or restain our deck just yet) with a weather and dog friendly outdoor rug from Lowe’s. 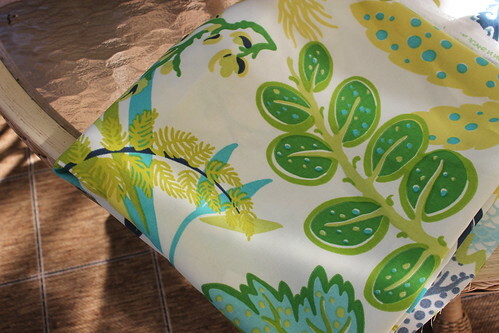 And then, the part that will tie it all together and give it the punch and pizazz, will be my new fabric which will become pillows for the chairs. They will be like the icing on the cake. Not sure when I’ll get around to sewing them, but hopefully in the next couple of weeks. 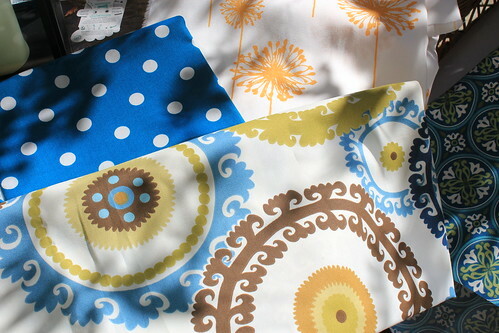 The sources for my fabric can be found on this post. They are such fun colors and patterns, I am really excited about them. You can see by his picture, he had a thing or two to say about THAT. 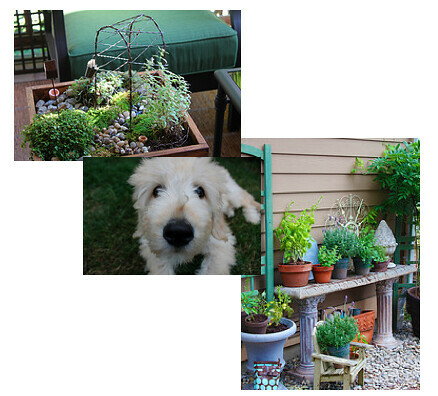 Thanks to Lowe’s for the plants, trellises, large pots, and outdoor rug and paint for this outdoor space!